Che Loco!. : JUAN TERRENAL: "POR SIEMPRE"..COSECHARAS TU SIEMBRA. JUAN TERRENAL: "POR SIEMPRE"..COSECHARAS TU SIEMBRA. 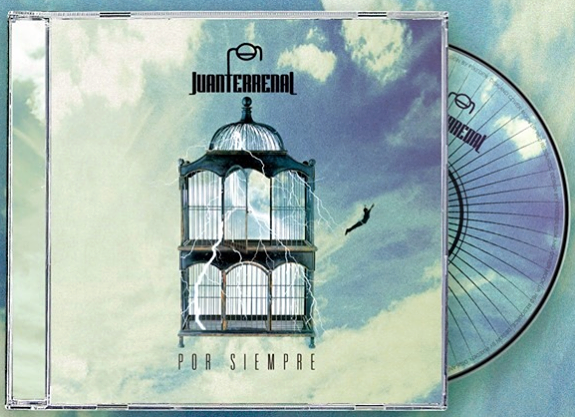 HA SIDO UN ESFUERZO MUY GRANDE EL DEDICADO POR JUAN TERRENAL PARA CONCEBIR SU NUEVA OBRA.DESDE TIEMPO,COSTOS,PASANDO POR ARREGLOS DE CUERDAS,PRE PRODUCCIONES EXHAUSTIVAS Y RETOQUES FINALES.SEMEJANTE DEDICACION Y AMBICION, MERECIA UN PRODUCTO DE TAL MAGNITUD.EXQUISITO,LIMPIO,DE AUDIO SORPRENDENTE,DONDE LA BANDA REPASA CADA UNO DE LOS ATRIBUTOS QUE LO CARACTERIZAN Y LE DAN SU SELLO DE ROCK DE GARAGE CORDOBÈS. MIGUEL AMAYA EN VOZ,FEDERICO ABRIL Y GERMAN DELLA ROSA EN GUITARRAS,MARTIN Y PATRICIO PETROS EN BAJO Y BATERIA RESPECTIVAMENTE MAS LOS TECLADOS Y SINTETIZADORES DE LEO SAYON,CONFORMAN ESTA MITICA BANDA QUE YA ACUMULA 14 AÑOS DE EXISTENCIA. EN "POR SIEMPRE" SUS PROSAS INVITAN A LA MELANCOLIA.AL REFUGIO DE LA OSCURIDAD EN BUSCA DE LA LUZ PERDIDA,AL AMOR DESDIBUJADO ENTRE LA DESDICHA DEL DOLOR Y LA SOLEDAD.AL VARIOPINTO PESAR DEL TIEMPO QUE SE CUELA ENTRE LA PIEL Y LOS HUESOS CON LOS AÑOS,CURTIENDO LAS ALMAS EN SU RECTA DE MADUREZ FINAL. EL ALBUM TE ACUNA ENTRE PASAJES ACUSTICOS COMO PAISAJES QUE SE ACERCAN Y SE ALEJAN A LA VERA DEL CAMINO EN NUESTRO ANDAR HASTA DESPERTARSE ENTRE DISTORSIONES COMO BOFETADAS QUE TE ANIMAN A NO DESALENTAR,SIEMPRE AL FRENTE,CON LA MIRADA ALTIVA. MIGUEL AMAYA MANTIENE SU VOZ EXPECTANTE COMO NUNCA,COMO SIEMPRE,ENTRE CASCADAS DE SONIDOS COMO MEDIO AMBIENTE DE UN ECOSISTEMA BIEN "TERRENAL".COMO QUE MAS ALLÀ DE LOS DESEOS DE PROGRESO ESPIRITUAL Y VUELO O LOS SENSACIONES COMO DE HABER ANCLADO EN LO MAS PROFUNDO DE LOS INFIERNOS,NUESTROS PIES AUN ESTAN SOBRE EL SUELO,SOBRE LA TIERRA,SOBRE EL PRESENTE ESCLAVO DE LA VIDA CON SUS MATICES Y PIXELES. 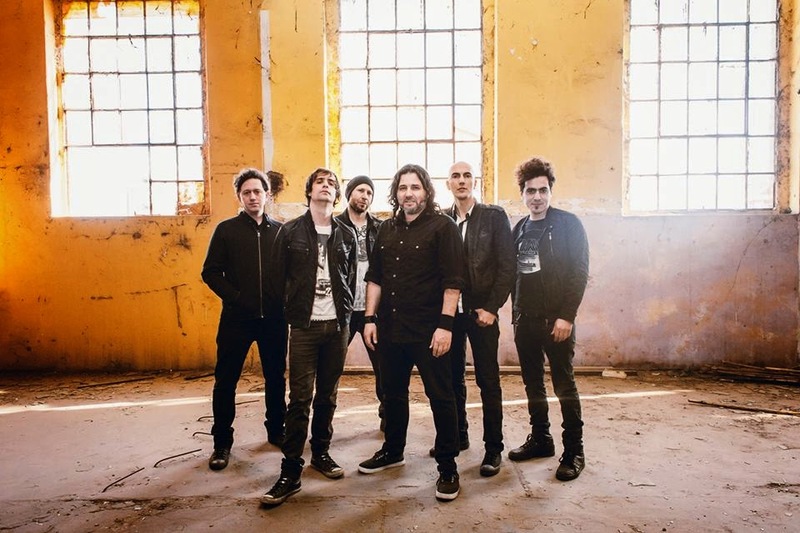 SE PUEDE HABLAR DE MAS COMPROMISO AL BUSCAR UNA PRODUCCION FUERTE COMO LA DE ALE VAZQUEZ O ARREGLAR CON UN SELLO POTENTE COMO SONY PARA DEMOSTRAR QUE SE HAN TOMADO MAS EN SERIO ELABORAR ESTA PIEZA.PERO JUAN TERRENAL MANTIENE SU ESENCIA DE BANDA DE ROCK COMPROMETIDA CON SUS IDEALES,AHORA EN UN CICLO DE MADUREZ EN LA CUAL SU SONIDO SE HA PULIDO ACORDE A LOS NUEVOS MOVIMIENTOS GENERACIONALES ( Y TECNOLOGICOS) Y ESO ES VALEDERO PARA REIVINDICAR SUS LAUROS,SE SIGUEN SATISFACIENDO A ELLOS MISMOS SABIENDO QUE TAMBIEN NO DEJAN DE SATISFACER A SU PUBLICO Y ESTO ES ALGO QUE NO TODOS EJECUTAN HOY EN DÌA EN EL MUNDILLO DE LA MUSICA. DEMASIADO ESFUERZO,MERECÌA SEMEJANTE PREMIO..."POR SIEMPRE", ÈSE ES EL TROFEO.